As it is new year, and my second blogiversary is approaching, I thought I would do a little post setting out my reading and blogging goals for the coming year, such as they are. To be honest, after the overhaul I gave the blog last summer, I am fairly happy with where it it as and am inclined to let it coast along unchanged for a while. 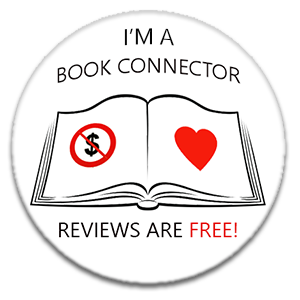 I have the weekly slots for my Tempted by… and Friday Night Drinks features filled up to the end of May, so they will be carrying on, along with my staple book reviews. I also intend to try and do more regular posts in the Travel, Bucket List and Writing categories, as those have been somewhat haphazard so far. I have a few exciting trips already planned for the coming year, so I’m looking forward to sharing those with you. I am introducing one new monthly feature this year, which is called Desert Island Books. Not exactly a cryptic title so you may work out the gist of what this is about but look out for a post coming on Thursday of this week for more details on this. Otherwise, it will be business as usual on the blogging front. On the reading front, I decided to go back to the principles which were originally behind the blog, and spend the year trying to reduce my TBR, which has gotten completely out of hand if I’m being honest. I just made a spreadsheet to keep track of all the books I own but haven’t read across all mediums and the tally is frankly embarrassing. So, I’m cutting back a bit on blog tours and focusing on reading some of my existing titles. To this end, I have set my Goodreads Challenge 2019 goal at 125. I am also going to attempt my online book club, The Fiction Cafe Book Club Reading Challenge 2019, which involves reading 25 books which fall into a specific categories – one every two weeks. I’ll be fitting books from my existing TBR into these categories where possible. Here are the details of the challenge, if you are interested. Watch out for the reviews of these books popping up fortnightly under the FictionCafeReadingChallenge2019 hashtag. It’s the first of January again- how did that arrive so fast? It is that day we traditionally make a fresh start in a new year and set ourself some goals or resolutions for the coming year. I thought I would share mine here with you, get them down in black and white and give myself a bit of accountability. I hope they are achievable but only time will tell! I thought I’d get the predictable/dull/difficult ones out of the way first. I was going to put ‘Lose some weight’ but that is a rather negative one and I’m only making positive resolutions this year (that should have been number one actually – only make positive resolutions!) so I am going to eat more healthily, and that will have the side effect of causing weight loss, hopefully! It’s a win-win! I’m coining a new phrase here which I am hoping will catch on. What I mean by this is reading books from my TBR, rather than for blog tours. For fun, rather than because I have made a commitment. I did a huge number of blog tours last year and, whilst I enjoy them and love helping promote the authors and discovered a lot of fabulous new writers, I did find myself under a lot of pressure (self-inflicted!) at times, and it did restrict my ability to just read a book when it took my fancy. So this year, I am cutting back a bit on the blog tours and will read more random books, as and when I feel like it. That TBR needs reducing! 4. Be grateful every day. Keeping a Gratitude Journal is something I have been inspired to do by the lovely Louise Jensen and this post on her blog. Louise is someone who is a massive inspiration to me and I believe that trying to be more mindful and grateful on a daily basis is going to be a huge help in maintaining a positive mindset. For someone who has experienced anxiety and depression in the past, managing my thoughts is extremely important in staying mentally healthy and happy. Focusing on the positive aspects of every day and being actively grateful for them can only remind us that life in general is good and that I am fortunate. For example, today I am very grateful for this scene in Guardians of the Galaxy where Chris Pratt is hosed down, sans shirt. Life is, indeed, good! This is the year that my novel WILL be finished and submitted. No more procrastination. No more excuses. No more fear. It is time to put it out there. I have huge support from my family, friends, the Romantic Novelists’ Association (I am on their New Writers’ Scheme for another year), my lovely online writing group and, particularly, my fabulous writing buddy, Kate. They all believe in me, time to start believing in myself and take the next step on that path to achieving my dream. TRIGGER WARNING: THE FOLLOWING CONTENTS MAY INDUCE NAUSEA IN THOSE OF A CYNICAL DISPOSITION! This might seem like an odd one because happiness does not always appear to be under our control. It often seems like something which can only be achieved when external forces align circumstances in our favour to create an environment where we can feel happy for a moment or two. Well, please excuse my French, but bugger that for a game of soldiers. I have decided to choose happiness. To create it wherever possible. To do things which make me happy. To work to make sure that the things in my life are the ones that make me happy, and to rid myself of the negative things as much as I can. To try and take the positives out of situations. I’m tapping in to my inner Pollyanna. It’s a spin on Trainspotting’s Choose Life riff, but way less cool. So there we go. Those are my resolutions. Not very original. Not earth shattering, but I hope they will have a positive effect on my life, and those around me, which is probably the best I can expect. And you know what they say about the Butterfly Effect. I have a feeling that 2019 is going to be a good year. What about you? Tell me your resolutions or hopes and dreams for the coming year. I hope it is a good one for all of us. Let’s meet back here in twelve months and see how we all got on, shall we? Yesterday morning I cleared out my kitchen cupboards. What a riveting topic for a blog post, Julie, I hear you all say. Why are you telling us? Well, bear with me, all will become clear. Back in the summer I took a big decision and decided to close down my travel consultancy business to focus on training for a new career more related to publishing, and completing my first novel. People who have been following my blog this year will know that I made a commitment to myself to take my writing seriously this year by joining the Romantic Novelists’ Association (RNA) New Writers’ Scheme (NWS), doing a writing retreat and getting the book finished and ready for submission. (If you are interested, you can read all about my resolution here.) I have made quite a lot of progress towards this goal, getting the first draft of the book done, attending a lot of RNA events, which have been hugely inspirational, having a ball on my writing retreat, and getting my manuscript critique back from my NWS reader, which should help me improve my manuscript during the editing. Then I hit a roadblock. A mental one. I’ve started to doubt myself, my story, my abilities, in fact everything about my book and, as a result I am avoiding working on the edits. This is where the cupboard tidying comes in. I told myself I needed to do it before Christmas and today was the perfect time as they are quite empty before the big shop, but I’m lying to myself. It is a displacement activity to avoid having to look at my book. I’ve finished my Christmas shopping. Booked next year’s family holiday. Blogged like a maniac. Anything but write. Procrastination. Shilly-shallying of the highest order. The truth is, I have become afraid of my book. Or, more accurately, I am afraid of my lack of ability to do justice to my book. I don’t believe I am a good enough writer to get anything published. The story matters too much to me. The whole thing has become too big for me to face, so I’m running away from it. I’m afraid of failing. I am literally frozen with fear. So I’m doing nothing. ‘Tomorrow,’ I keep telling myself, ‘I’ll work on it tomorrow.” But you know what they say about tomorrow. Things have got worse this week because of the conference. What conference, I hear you ask? The conference currently being held at Universal Orlando Resort in Florida where all my old colleagues and friends from my travel consortium are currently gathered to celebrate and talk about the travel business. They are all together in one of my favourite places in the world, celebrating their successes….together. This is the first year I am not with them. Instead, I’m sitting alone at my desk, not working on the book I gave it up for. So I’ve been torturing myself, following the conference hashtag on Twitter; stalking my old travel mates on Facebook; watching as they have a private, after-hours dinner in Diagon Alley with exclusive access to the Gringotts ride. Meeting Optimus Prime and Bumblebee. Singing karaoke on CityWalk. Sending me messages telling me they miss me and it’s not the same without me. And, for the first time, I’m starting question whether I’ve done the right thing after all. But this is the fear talking. I have to keep reminding myself why I made the decision I did (and there were many good reasons and a lot of thought went in to it) and that I have the support of my family behind me. But I’m not very good at talking myself up. I am the Queen of Self -Doubt (that would make a good book title, wouldn’t it); the ultimate possessor of Imposter Syndrome; chronically lacking in confidence. Then, yesterday, three things happened all together that made me stop and think and pull myself together. If you believe in serendipity, they all happened to guide me back on to my path and re-focus my determination on reaching my goal. Reminding me why I started this in the first place and that what I am experiencing is not unusual and I can’t let it stop me. There are a couple of messages in this piece of slam poetry that really spoke to me, mainly that I need to speak more kindly to myself, as I would to someone I love. Would I be so hard on another person, or would I be encouraging them to believe in themselves and follow their dreams? I need to be my own cheerleader. Secondly, I found this website, just when I needed it and realised that I am not alone. Every writer feels how I feel and I just have to push through it. There is no reason why I can’t finish my novel. My feedback so far has been good. People have told me they like what I write. And one thing is for sure, I’ll never know unless I try. Finally, a close writing friend of mine (I won’t out them, they can comment if they want to share) messaged me and told me they thought their writing was s***e and they weren’t sure they could finish their book and I inwardly smiled, before telling them all the things I truly believe about their abilities, but which I don’t seem to be able to tell myself. They were giving voice to all my fears about my own work and reminded me, I am not alone. There is a whole tribe out there in the same boat as I, who I can turn to for support and all the positive reinforcement I can’t give myself. Why is it so easy to believe the bad things we tell ourselves and not the good? Why is it so easy to be kind to others but not ourselves? So, I am now determined. I’m going to get this book finished and send it out into the big wide world to take its chances. Maybe I will never get published, but at least I’ll know. Because one thing is for sure, by failing to try, I am already failing, and that is not good enough. I don’t want to spend my days wondering, what if? Living with failure will be easier than living with regret. If you need me, you can find me at my desk because I #amwriting. One of my favourite blogs to follow is Hazel Jackson’s wonderful, eclectic site Tea & Cake for the Soul. Hazel has a weekly feature where she chats to different people about the subjects that interest her and I was delighted to be invited to be one of those she is featuring. Today is the day that I’m appearing as the guest on Hazel’s blog and you can check out our chat via this link: An Afternoon with Tea & Cake for the Soul with A Little Book Problem. Thank you so much for having me on your blog, Hazel, it was great fun chatting to you and I hope there will be a return visit for Friday Night Drinks in the near future. Today is one of those days. I feel completely bereft today. Worse than last Wednesday, when it was his birthday. Today I am just in a corner, feeling lost. This is not the blog post I had planned today, but it is the one I am sharing because, it is on days like these that we need someone to reach out to, we need to know we are not alone. I’m sharing again here my post from last week. Please read it and, on this last day of Baby Loss Awareness Week, please get involved. People like me need your help to live with our grief. Please visit the Baby Loss Awareness Week website to see how you can get involved. And tonight, during the Wave of Light at 7 pm, perhaps you can light a candle, along with people across the world, and remember those of us who have lost a child. Saturday is my youngest daughter’s eleventh birthday. She’s getting very excited, as eleven is the age at which her elder sister got a mobile phone, so she has certain expectations of her present. She is having six friends for a sleepover party on Friday night. There will be cake. Today is my eldest child’s birthday. It is fifteen years today since he was born. He will not be having presents, or a party, or a cake, because his birthday also marks the day that he died. Every year my son’s birthday falls within Baby Loss Awareness Week, which this year began yesterday. Normally, I just mark this on Facebook, but this year I can do something different. This year I have a platform. This year, I am giving my son the gift of raising awareness. It is time to talk about baby loss. People don’t like to talk about it, it is one of the last remaining taboo subjects. Those who have experienced it find it hard to talk about because it makes other people uncomfortable. They don’t know what to say, and any mention of the fact you have lost a child tends to bring a conversation to an awkward, stumbling halt. So we learn not to talk about it. We hug it to ourselves like a dirty little secret we can’t mention in polite company. A form of social leprosy, as if baby loss is something contagious. I doubt people realise what pain this causes. When people ask me how many children I have, I say two. Two – because if I say three, I have to explain why one of them is missing, and this makes people uncomfortable. So I deny the existence of my son. And I do it to protect other people from embarrassment. People who haven’t experienced the loss of a child find it hard to talk about because they are afraid. They are afraid that they will remind us of our loss. They are afraid that they are going to be the one that causes us to relive the pain of that loss. They avoid the subject with the best of intentions, I know. It is a hard subject for everyone. But I’ll let you in to a secret. If you mention my loss to me, you aren’t going to suddenly remind me of it. I haven’t forgotten. I haven’t forgotten about my son and the fact he died on the same day he was born. What you will do is remind me that you remember he existed. That you remember my pain and that you want to acknowledge it and share it with me. That you are there if I need you. I can’t tell you what a gift that is. It means everything. And you aren’t going to be the one to cause me to relive that pain, because I carry it around with me always. I’m reminded of it every day in a hundred different ways. When I drive past the cemetery that holds my son’s grave. When I see how much my other children have grown and imagine how he would look now. When I watched last Tuesday’s series finale of Upstart Crow. And here is another secret I can reveal – I don’t want to forget that pain, because the pain goes hand in hand with the only memories I have of him, and they are all that is left. When you share that pain with me, you share my memories of my son, and they are precious. This poem was written in memory of young men lost in the First World War, but its sentiments ring so profoundly with me. It talks about the loss of loved ones when you are young and all the years you have to live without them. I live every day with the loss of my baby. If you keep silent, trying to protect me, all that means is that I am left alone in my grief. Well, I want to say now to anyone who has lost a child, you are not alone. There are people out there you can talk to. Let them know you need support, that you want to talk. Talk to your family and friends, talk to professionals. Talk to me. It’s been fifteen years and it still hurts, it always will. I understand. Don’t feel that you are alone in your grief. For those of you who want to reach out, but don’t know how, you don’t need to say much, or make a big fuss. A ‘how are you doing?’, a hug, a text, a heart on Facebook, some flowers, a card, an invitation to coffee – a squeeze of the hand. Anything that means ‘I remember, I am here,’ is enough. A genuine sentiment of empathy, however inadequate it feels or awkwardly it is expressed, is much easier to accept, much less hurtful, than a back turned in embarrassment or discomfort. When I lost my son, two people I had been close to for a long time cut off contact for a while after I told them. Later they both explained that they hadn’t known what to say, so they decided abandoning me was the right approach. Another friend phoned me as soon as she heard and when I couldn’t speak, simply sat and listened to me cry on the phone for twenty minutes. I’ll let you guess which of these friends I stayed close to. So I’m appealing to all of you now, let’s break the silence about baby loss. This affects thousands of people every year across the UK and we need to raise awareness of the effects that such loss has on families and make sure that facilities and help are in place nationwide to support them through those worst of times. More needs to be done. We need to let them know they are not alone. There are lots of ways you can get involved. For more information on what you can do, please visit babyloss-awareness.org. Wear a pin, write a letter, join in the conversation on social media, join in the Wave of Light on Monday 15 October at 7 pm. But most importantly, reach out to someone. Break the silence. Do it in remembrance of all the babies we lost too soon. Do it in remembrance of my son. And if you are someone who has been affected by what I have discussed here and you need help, please reach out. Don’t suffer in silence. Contact https://www.sands.org.uk for help and support.